It’s the most wonderful time of the year (or at least that’s what Andy Williams croons about each and every holiday season). 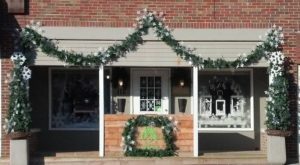 Whether you are trying to get yourself into the Christmas spirit or you turn into Elf the minute holiday festivities come around then you need to take a little time away from your holiday shopping to enjoy the magic of these Christmas towns in Illinois that are certainly full of the holiday spirit! 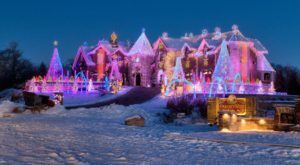 Did you know that there is a Christmastown right in the middle of Illinois? If you are already chomping at the bit to get into holiday festivities then it’s time to kick off the season in Tuscola the weekend of December 2nd. Pick up something special for that special someone at their homemade craft fair. 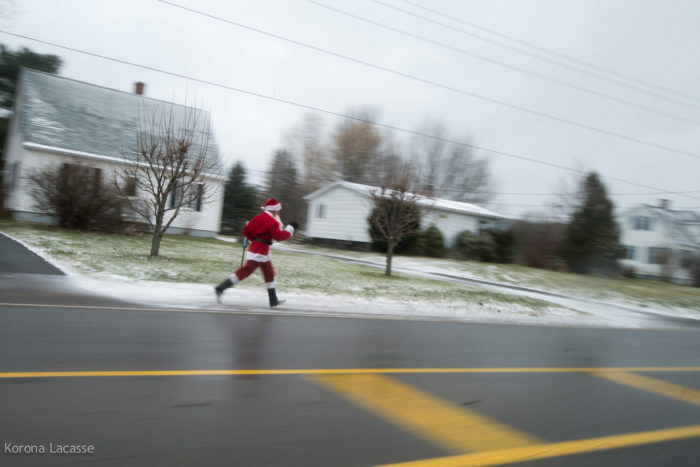 Enjoy breakfast with Santa at the Douglas County Museum or run off some of those Thanksgiving goodies by participating in the Santa Chase 5K on December 3rd. 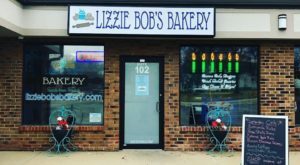 While it might seem obvious that this toddlin’ town would be full of festive holiday magic, there is something for everyone here in the Second City and it’s well worth battling a little holiday traffic. Take in one of the many amazing shows like Joffrey Ballet’s Nutcracker or the Goodman Theatre’s A Christmas Carol. Head to the Daley Plaza for a commemorative ceramic boot full of mulled cider while shopping around the popular Christkindlmarket (open under December 24th). Or bundle up with some hot cocoa and listen to local choral groups belt out holiday favorites at Cloud Gate (fondly referred to as “The Bean”) before taking in a few laps on the McCormick Tribune ice rink. If you dream of an old-fashion Christmas just like the ones you used to know (see what we did there?) then it might be time to book a weekend stay at one of the historic B&Bs and enjoy the idyllic holiday town of Galena. 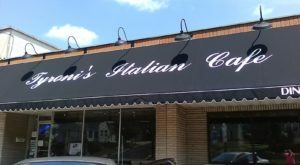 If you are looking to do some antique shopping, this is certainly the town for you. 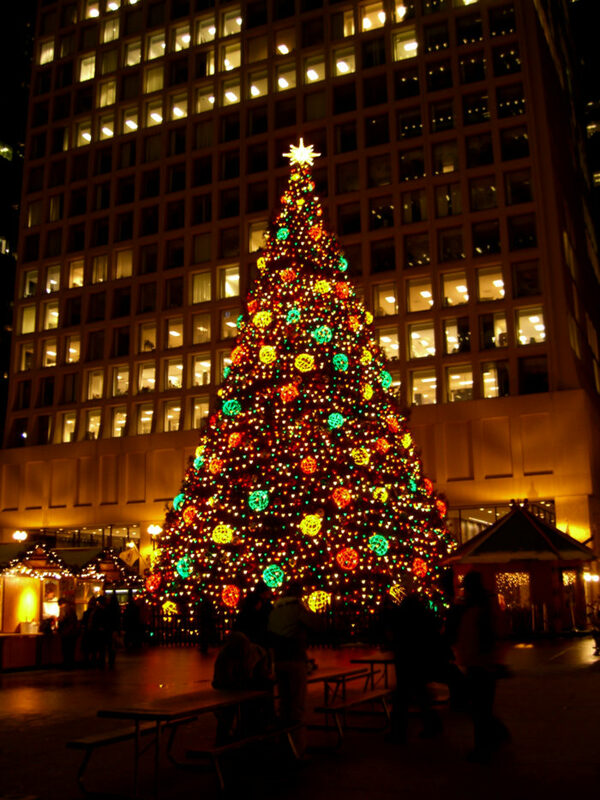 Christmas festivities start November 26th and continue throughout December. Take a peek at some of the stately decorated homes during the Holiday Housewalk (December 3rd), or watch the streets and sidewalks come alive with candle-lit decorations and beautifully festive storefront displays (this happens on December 10th) while enjoying the sites in a horse-drawn sleigh. 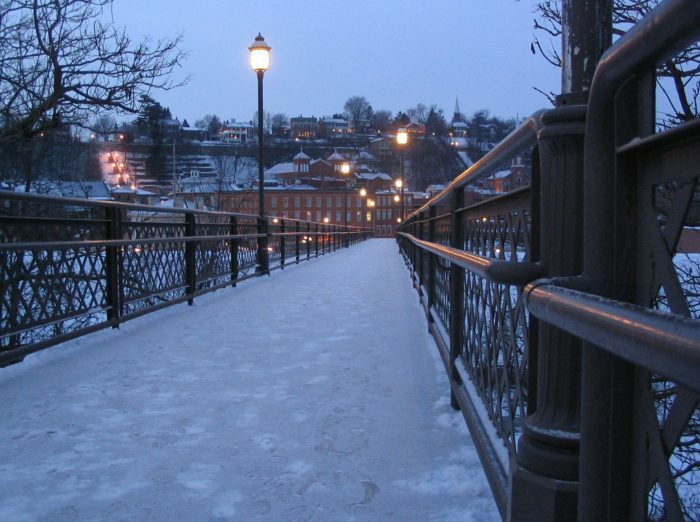 Take a step back in time this Christmas season and head to the historic town of Galena. 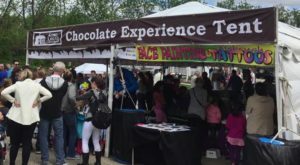 If you just can’t stomach the hoards of holiday shoppers in Chicago but you still want to enjoy Christkindlmarket, there is now one at Naper Settlement. 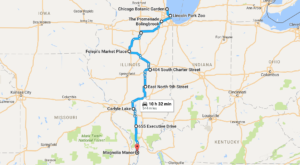 From November 25th to December 24th, enjoy all the wonders of your Chicago Christkindlmarket except in this Chicagoland suburb. 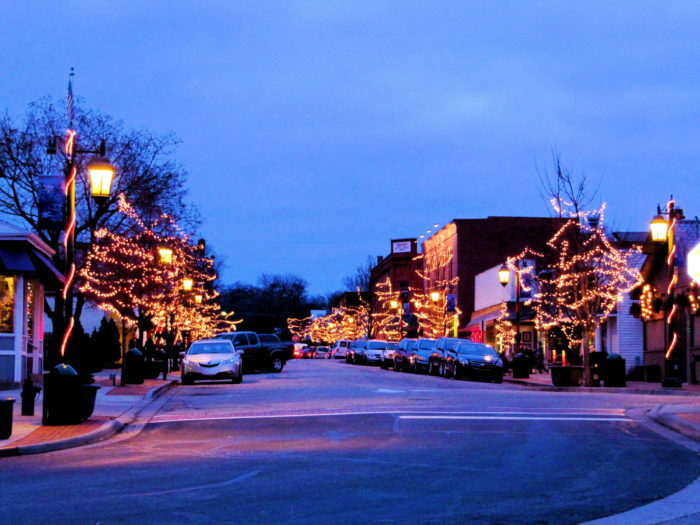 Head to downtown Naperville on December 2nd and see your favorite storefronts come to life during Holiday Living Windows with scenes from your favorite holiday movies like It’s a Wonderful Life and Charlie Brown Christmas. 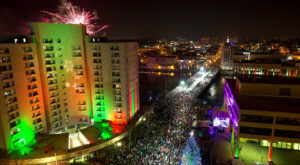 With the culturally diverse background of Rockford’s residents it’s no surprise that the festivities celebrate this winter season with a plethora of different heritages. With Christmas Heritage Exhibits at the Ethnic Heritage Museum from November 27 to December 18th, a children’s choir with traditional Swedish and English songs to welcome in the Christmas seasons and a Victorian Holiday Celebration there is something to warm even the Grinchiest heart. And whether you love a good cocktail during the holiday or you can drink you weight in hot chocolate then you may want to spend time enjoying Rockford’s 12 Bars of Christmas Pub Crawl on December 17th. 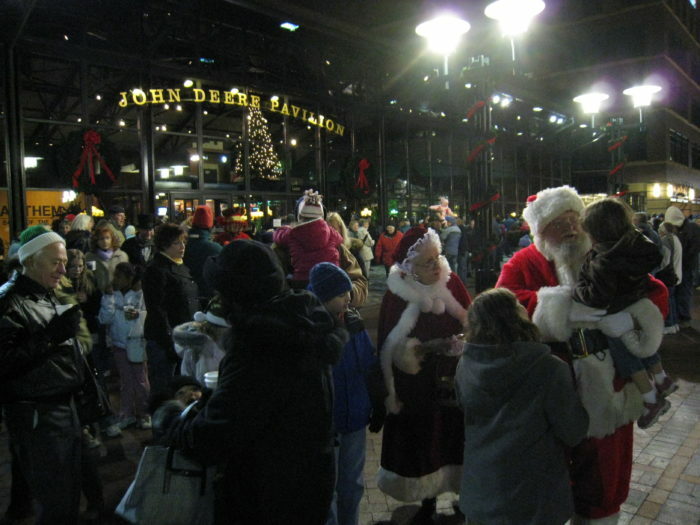 Take in some of the hot spots in Rockford while celebrating the holidays with friends. 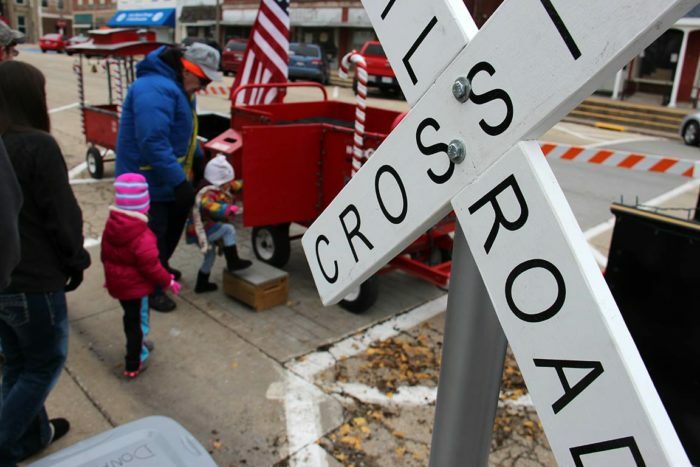 The spirit of Christmas is alive and well within this small western Illinois town. If you are looking for Christmas festivities just like the ones you used to know then start it off right with breakfast with Santa, ornament making, carriage and train rides, a chocolate fair (Yum!) and even a candy cane hunt. Enjoy holiday entertainment at night as the whole of downtown Galva is lit up with the glow of a thousand lights. 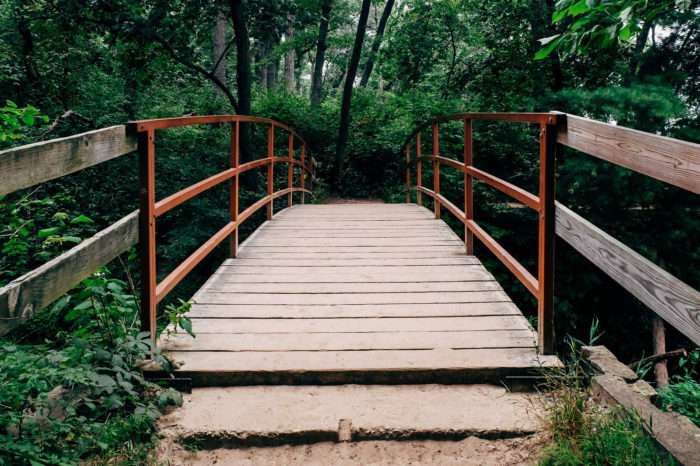 If you still have some gifts to get and you’re looking for something unique then head over to Cambridge’s holiday crafting fair on December 3rd. Take some time to meet Santa and tell him what you want for Christmas (hope you’ve been nice this year!). 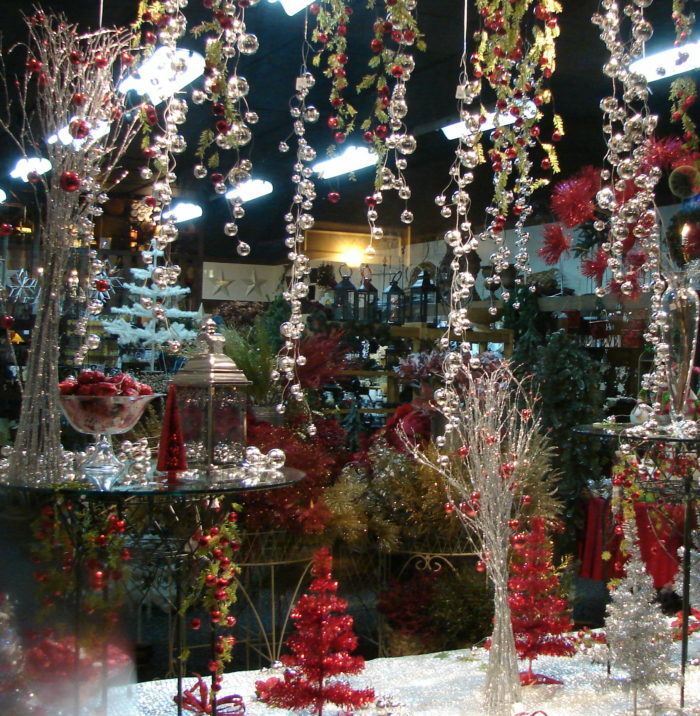 Enjoy the merry holiday music while “Ohhing” and “Ahhing” over the Festival of Trees in this historic western Illinois town. And don’t miss the tour of the B&B Toy Museum, where you get to see toys across the decades (maybe you’ll even see ones that you received as a little one on Christmases past). Do you wish to go back to a simpler time this holiday season? 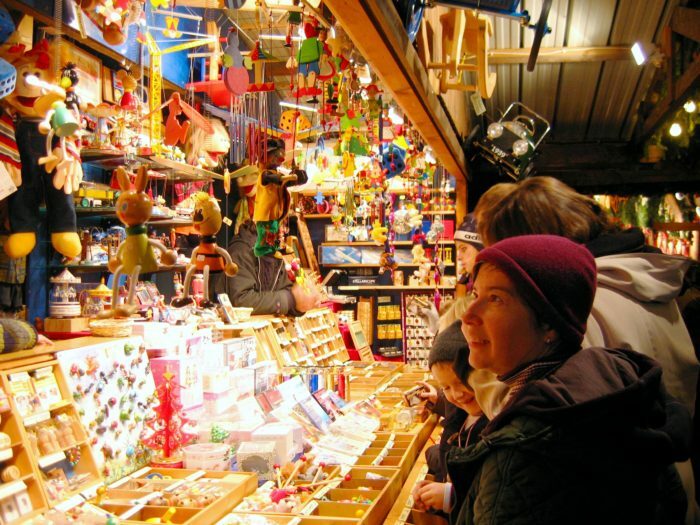 If so, then how better to do it then to partake in the authentic Scandinavian Christmas market Julmarknad? Enjoy festive specialty foods, antiques and handmade chocolates while taking in the beautiful sights and sounds of the holiday. The festival is the weekend of December 3rd and 4th. Head to Bjorkland Hotel to make edible ornaments with the kiddoes during the early afternoon and wait until the sun goes down to enjoy wandering around Bishop Hill as it’s illuminated by the glow of warm candlelight in Lucia Nights Celebration on December 9th and 10th. If it snows you’ll be in for a real treat as you enjoy taking in the 19th-century village under a beautiful blanket of snow. If mansions decorated to delicious holiday splendor is your cup of tea then you don’t want to miss the two Deere family mansions in Moline starting on December 4th. 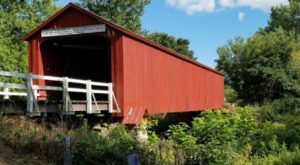 Besides taking in these fabulous historic homes and perhaps getting some holiday decorating tips of your own, you can also enjoy living history events, activities for the little ones, choral performances and even a visit by Santa Claus. While this town may be known for its infamous Groundhog Day festivities it doesn’t mean that this town doesn’t know how to do Christmas right. 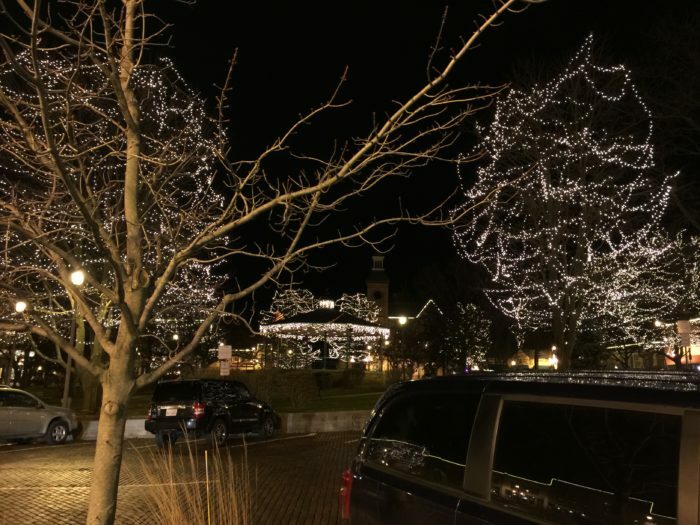 Take in holiday festivities at the Woodstock Opera House, revel in the lighting of the square and get in the holiday spirit with a Christmas Parade. Caroling, carriage rides and a Christmas Tree Walk will make visiting this quaint, majestic town well worth it this holiday season. The first weekend in December it’s time to find out what more than 10,000 visitors have enjoyed about this Carlinville Christmas tradition that is now over 20 years old. Athletes and those just wishing to get a little nip of fresh air can participate in the Mistletoe Mile Walk/Run. Take in a guided tour of the historic tour in a Victorian-style trolley. Arts & crafts, dazzling ice sculptures and holiday troubadours make the holidays come alive in Carlinville this season. 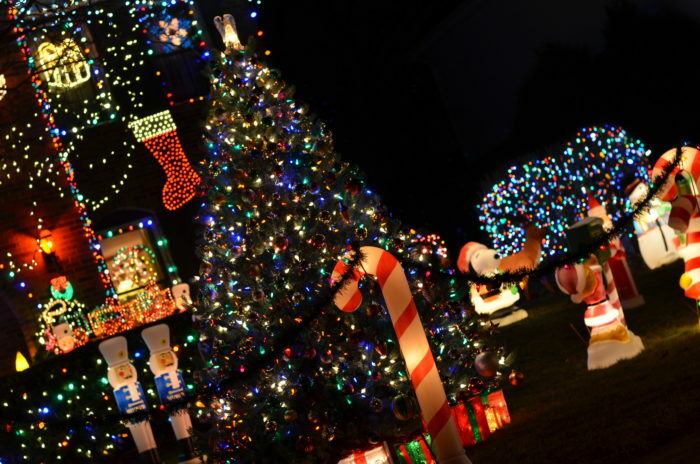 Are there any towns that we missed that embody Christmas through and through? If so, we would love to hear about them in the comments. It’s amazing how much Illinois comes alive with the feeling of Christmas and we want to celebrate as many of these festive towns as we can.